I have been off-line for the last couple of days. Sure, I am still recovering from the election, but it’s mostly because I am in South Dakota, helping my father celebrate his 91st birthday along with all of my brothers. This morning we visited a great country store called Kones Korner. In the years when I was growing up, there was a hand-painted sign on Highway 212 just before you got to my home town. It said, “Kones Korner: Beer Guns Ammo.” It summed up pretty well one aspect, but only one, of the town’s culture. If you ever find yourself in northeastern South Dakota, Kones Korner is definitely worth a visit. We hung out for a while and talked firearms with one of the proprietors, but restrained ourselves from actually buying a gun, settling for a little ammunition instead. 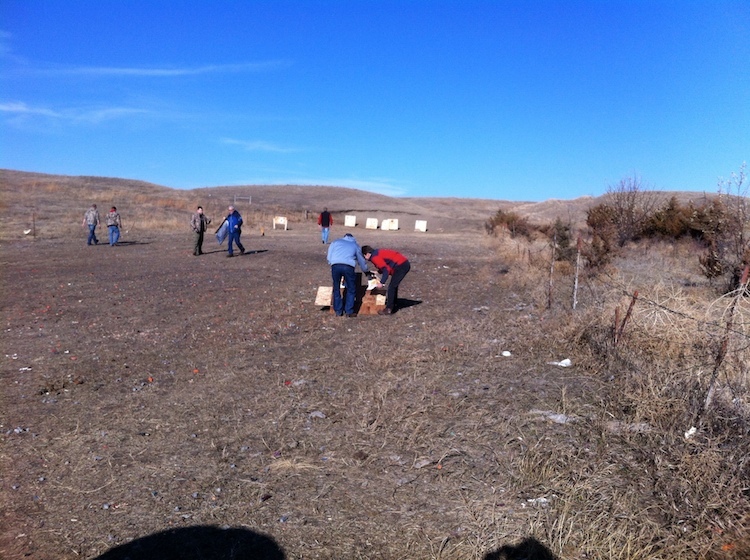 There was a good crowd at the range, with people waiting for a turn to shoot, partly because it was a beautiful, warm day for the beginning of December. 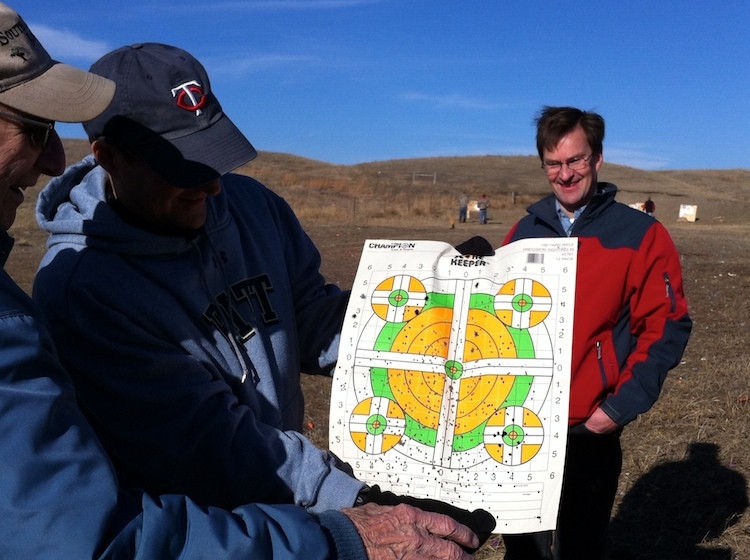 You can see here how I peppered a target with the shotgun. If only ducks would stand still, hunting would be a breeze! 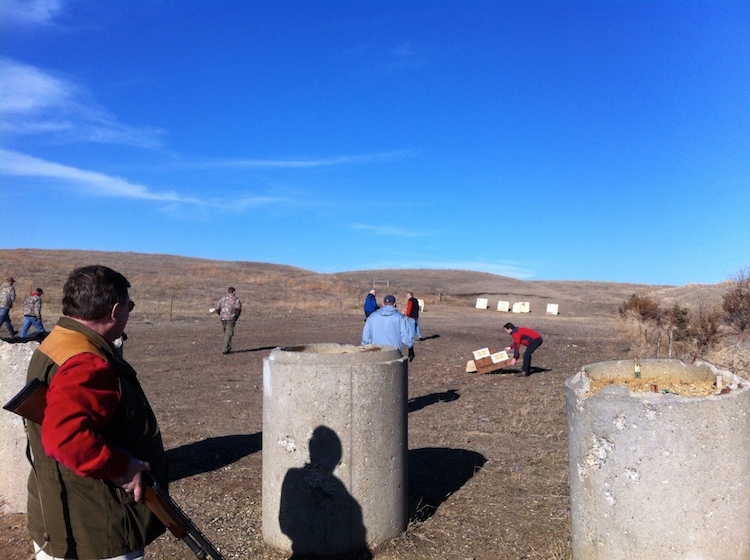 The birthday party followed our shooting excursion. Tomorrow I will be back to following the news.